These tuxedo moccasins will turn any day into a special occasion! These soft leather shoes are flexible, comfortable, and perfect for bubs who are starting to get mobile. 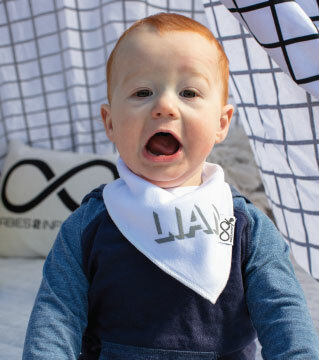 Why not complete the look with our tuxedo bib?